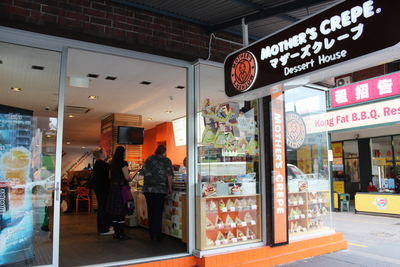 Mother's Crepe is a Japanese crepe franchise. 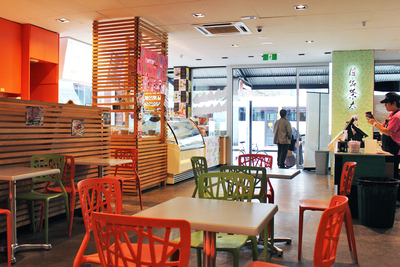 Their store on Grote Street combines their crepes with Chatime bubble tea as well as ice cream and frozen yoghurt. They don't have specific meals or desserts for kids, but all of their food is fun and many kids will enjoy the visit. 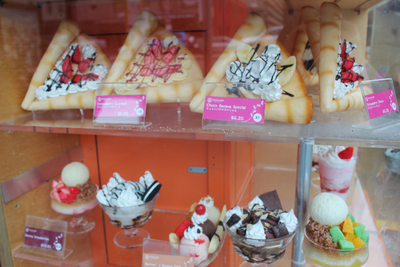 The crepes come in a huge range of flavours and styles. You can get them on a plate or rolled up in paper. They're the japanese style of crepes, so you also get the fun of having plastic models of most of the creations on view outside the store. Toppings include ice cream, fruit, sauces, and of course whipped cream. 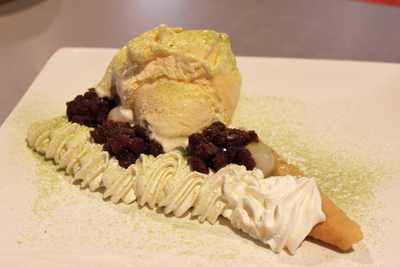 If your kids aren't into crepes, ice cream is another popular choice. There aren't as many flavours as some popular ice cream shops, but they always have rainbow, which is popular with most kids. You can choose from cups or cones, and there are also ice cream sundaes and banana splits on the menu. 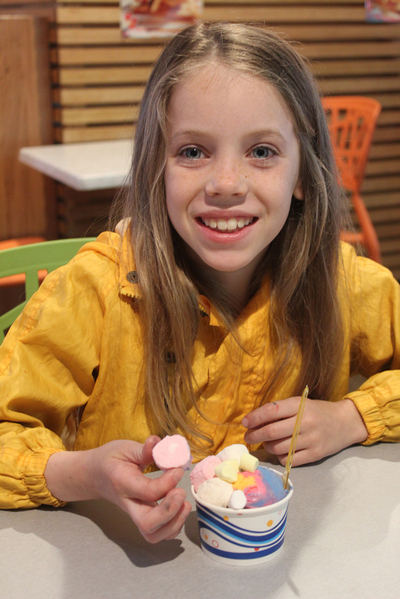 If the kids prefer frozen yoghurt they can choose between natural or biscotti flavours. 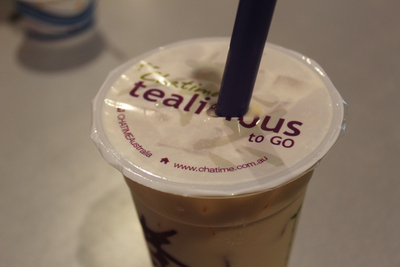 Bubble tea might be a little adventurous for many kids, but it's an interesting thing to try. They can pick their flavour and then choose to add things like tapioca pearl or lychee jelly. The store is pretty big and has tables and private booths. If you've got an overladen pram you might need a bit of help getting it over the step at the front. There are TVs in the store that play a mix of popular hits and Asian pop music. It helps keep the place upbeat and entertaining. The store has a bright, fun atmosphere and its fairly casual which makes it perfect for kids. 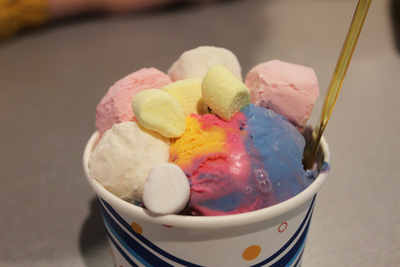 Even fussy eaters will probably be happy with a scoop of rainbow ice cream.